Every parent wants to see their child succeed. Providing your child with a chance at higher education can help ensure that they follow a career path they are passionate about. A 529 college savings plan is an effective way to save for your child’s future while also providing mom and dad with key benefits. A 529 plan is essentially an investment account that is commonly used for education savings. These plans are often sponsored by the state and can offer excellent tax benefits. Learn more about a 529 college savings plan and why you should speak to a retirement plans consultant today. Also known as “qualified tuition plans”, these sponsored savings plans are authorized by Section 529 of the Internal Revenue Code and are available in two main types: prepaid tuition and education savings plans. All 50 states, in addition to the District of Columbia, sponsor at least one type of 529 savings plan. Some private universities and colleges also sponsor prepaid tuition plans. With a prepaid tuition plan, account holders have the opportunity to purchase credits at certain universities or colleges for future tuition and associated fees. The cost of these credits is based on current prices. While prepaid tuition plans can be beneficial, there are some limitations. For example, a prepaid tuition plan cannot be used to pay for future room and board at universities or colleges. In addition, the plan cannot be used to pre-pay for tuition at any elementary or secondary school. Prepaid plans are sponsored by state governments and are not guaranteed by the federal government. Educational savings plans allow account holders to open an investment account to save for a beneficiary’s future higher education expenses. Qualified higher education expenses may include room and board, tuition, and various mandatory fees requested by a school. If an account holder chooses to withdraw funds from an account, the funds can usually be used at any university or college. Education savings plans may also be used to pay the tuition at any private, public, or religious elementary or secondary school with a limit of $10,000 per year for each beneficiary named on the plan. One of the biggest perks of a 529 college savings plan is the tax benefits. Most states allow you to deduct any 529 savings plan contributions on your state income tax return. Each state has its own set limit that you must follow. These deductibles can result in substantial tax savings and a noticeably higher account balance. With a 529 college savings plan, your earnings are also deferred from state and federal taxes. As an account holder, you will not be taxed on any funds that you withdraw for any qualified educational expenses. The 529 college savings plan is not just for parents interested in saving for their child’s future education. It can also be used by grandparents, aunts, uncles, friends, or other family members. If desired, a 529 plan can even be used for your own educational expenses. Some families choose to open a 529 plan for their unborn child. Once the child is born, all funds in the account can be easily transferred into the child’s name. Only the account owner has control of when and how the money is spent, even if the beneficiary is an adult. With a 529 college savings plan, you have optimal freedom to save. Maximums for the 529 plan are fairly high, ranging between $300,000 and $400,000 per beneficiary. If you are concerned about how a college savings plan could affect your child’s ability to receive financial aid, know that there is a lower impact if a parent remains the account owner and the child is a dependent on the account. 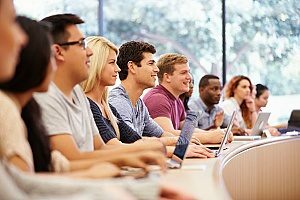 Unlike many other types of savings accounts, the funds in a 529 plan can be accessed as needed for expenses other than those relating to education. You will also not pay a penalty for the original investment. When you choose to open a 529 college savings plan, the funds that you contribute will likely be invested in large mutual funds managed by trusted financial companies. Account owners can choose from one of two approaches. The first is an age-based option that allows you to make adjustments to lessen the risk as the beneficiary reaches college age. The second option is a static choice which consists of an investment fund that maintains the same allocations over time. For more information about a 529 college savings plan or how to set one up, contact a retirement plans consultant today. Before investing, carefully consider the investment objectives, risks, limitations, charges and expenses of the product and its underlying investment options. This information can be found in the official statements. Copies are available from my office. Please read carefully before investing.